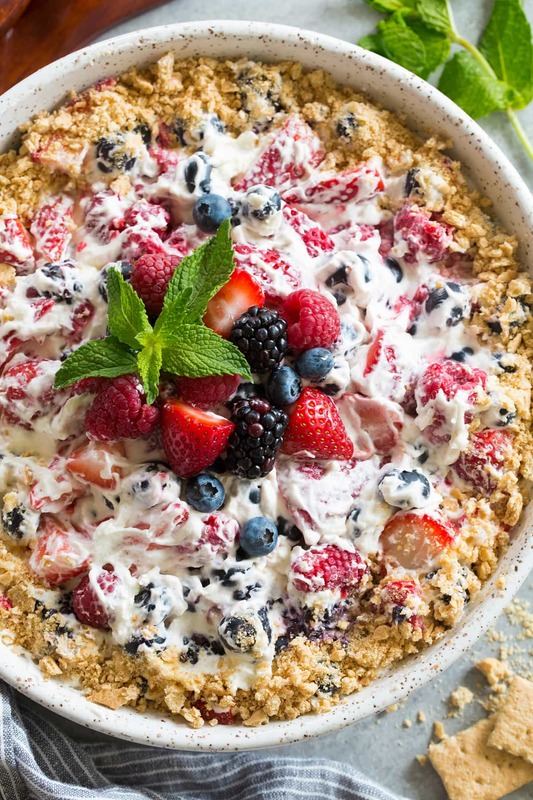 Berry Cheesecake Fruit Salad will likely always be a favorite of mine. It tastes just like eating a slice of cheesecake with fruit topping. It’s rich, creamy, fluffy and it’s jam packed with sweet fresh fruit. It’s just absolutely heavenly. And the great thing here is that it’s mostly fruit covered with a cheesecake topping versus a super calorie heavy slice of cheesecake with a little fruit. So I’d say this is a smarter choice than a slice of cheesecake and it fills that craving so why not?? Cheesecake and fruit are two of my favorite foods so it only makes sense to combine them. 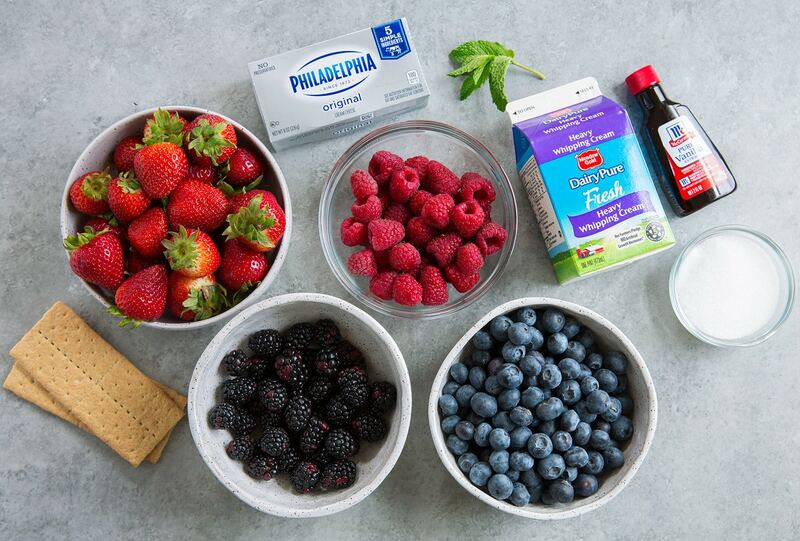 And don’t you just love the way a homemade berry sauce pairs with a slice of rich cheesecake, so again why not combine those flavors into a fruit salad? It’s just meant to be. 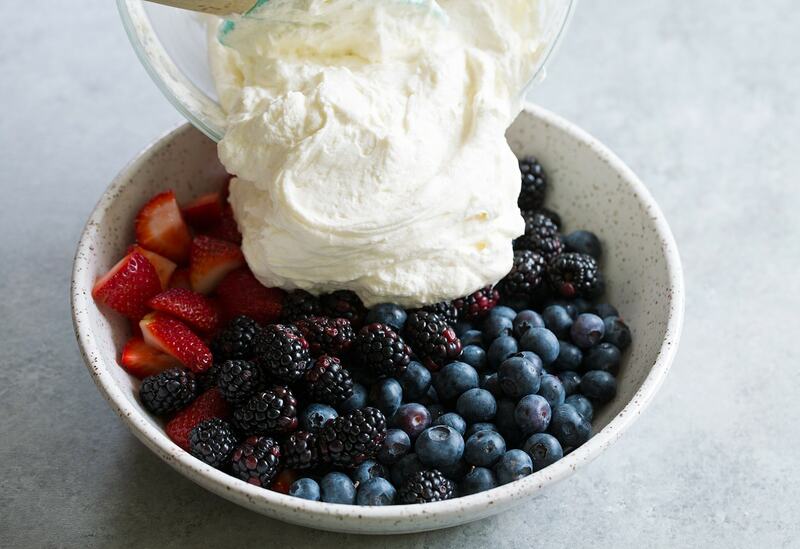 We’ve all had the bad fruit salads that have things like artificial whipped topping and fruit cocktail in syrup but here we skip all that and stick to real ingredients and fresh fruit. It’s wayyyy better! Try this and you’ll see what I mean. Those 80’s fruit salads don’t stand a chance. 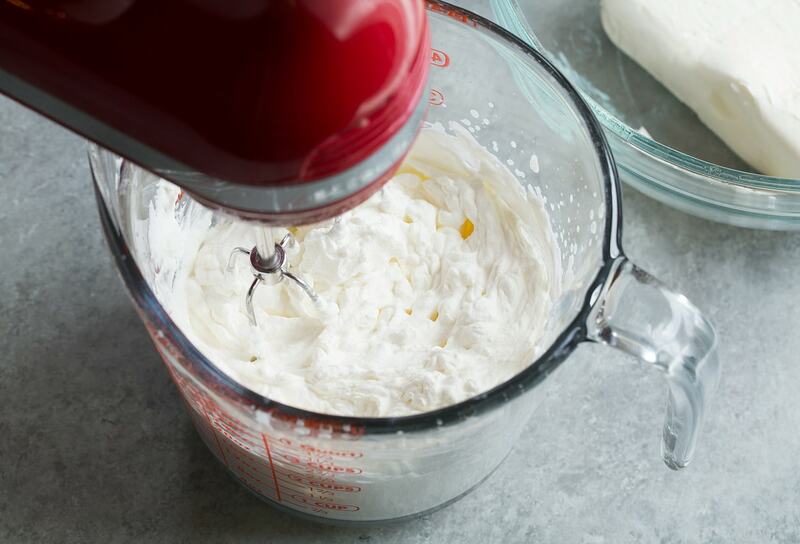 First you’ll whip up the heavy cream using an electric hand mixer until stiff peaks form. Then in a separate mixing bowl whip together the cream cheese with the granulated sugar and vanilla until the cream cheese becomes nice and fluffy, about 3 minutes. Then fold those two mixtures together and pour over prepared fruit, except raspberries, in a large bowl. If you want some of the berries for decoration set about 3 of each aside before coating. Toss mixture then gently toss in raspberries. Sprinkle edges with graham cracker crumbs. Garnish with berries and mint if desired. Use sweet fruit! 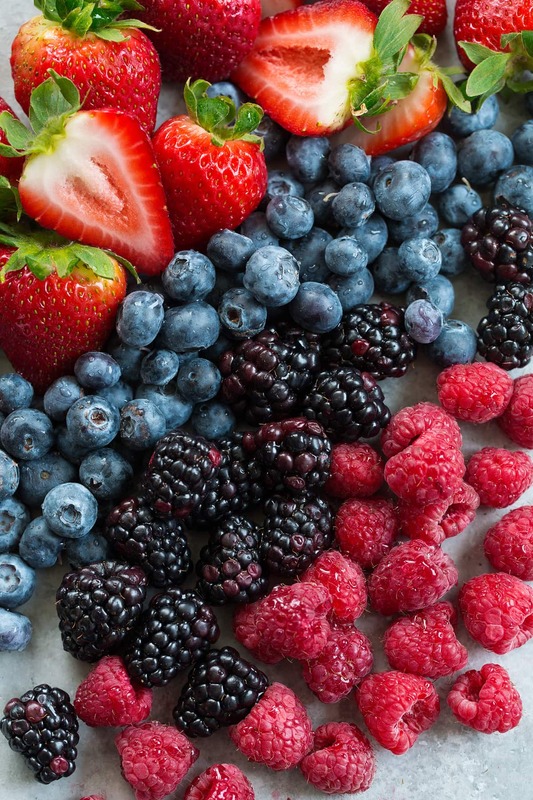 As in fruit that’s in season, it will make a big difference in the overall taste of the fruit salad, sour berries just won’t go over well here. Add more graham crackers crumbs to taste. As in feel free to triple the amount. You can either sprinkle the entire top of the fruit salad with crumbs or sprinkle over individual servings. We like the crumbs so of course we added more. Use chilled fruit. 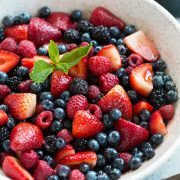 This is a summer salad so cold fruit is best. If you’d like you can use light cream cheese here in place of full fat. 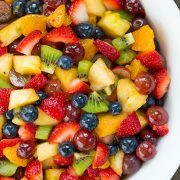 If you don’t like a lot of topping you can add a bit more fruit, I love the topping so this fruit salad has a lot of it. Try swapping in other fruits such as bananas or mangos. 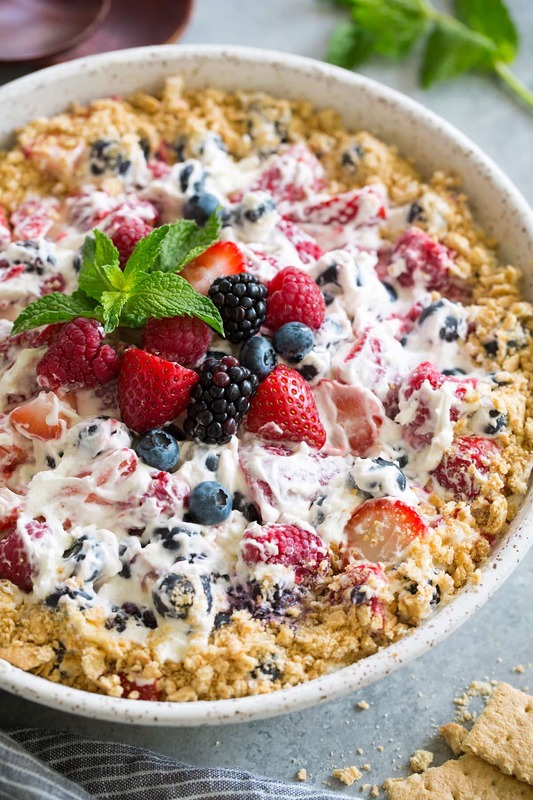 Sweet summer berries are coated with a rich and fluffy cheesecake topping and its finished with crisp graham cracker crumbs. Could fruit salad get any better?? 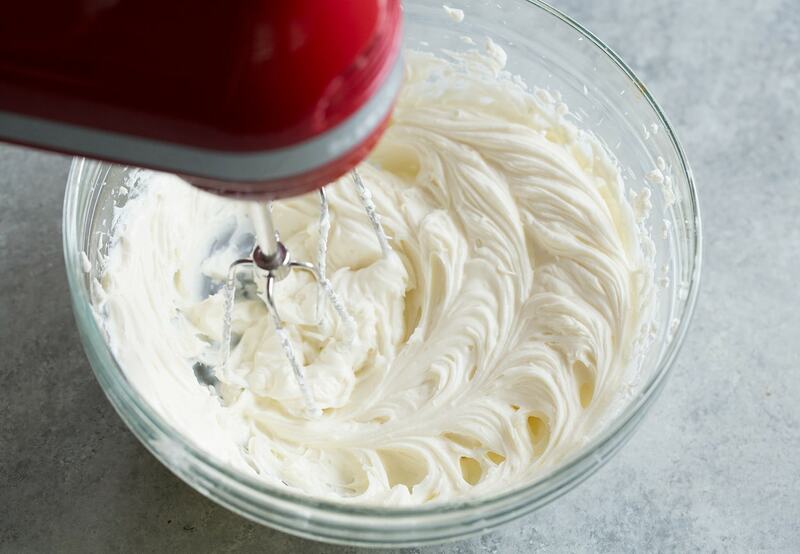 In a medium mixing bowl using an electric hand mixer whip heavy cream on high speed until stiff peaks form. 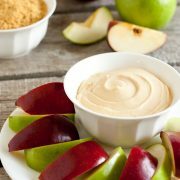 In a separate medium mixing bowl (no need to clean beaters) whip cream cheese, granulated sugar and vanilla extract until combined. Increase speed to high and whip until light and fluffy, about 3 minutes. 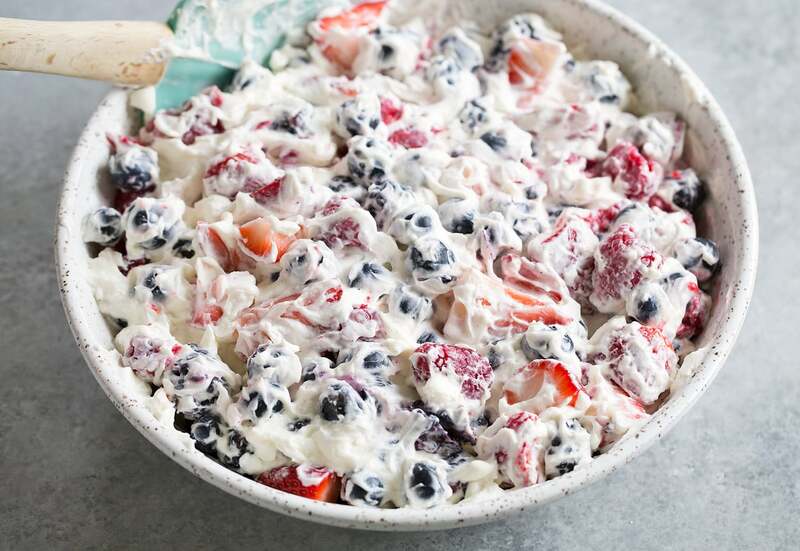 Place strawberries, blackberries and blueberries in a large bowl, then pour cream cheese mixture over and fold, then gently fold in raspberries. Sprinkle edges with graham cracker crumbs. Garnish with fruit in center and mint if desired. Serve immediately or keep chilled. Serve day prepared, add graham cracker just before serving so it stays crisp.